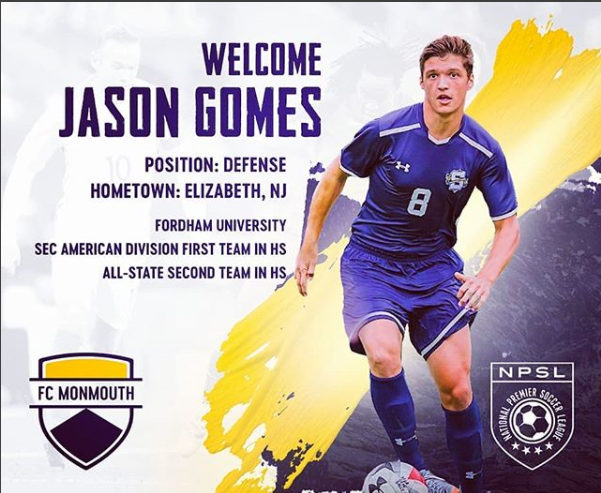 We would like to congratulate Jason Gomes of our U19 Premier Strikers in his recent success of being signed to FC Monmouth of the NPSL for their inaugural season. Best of luck, and much love from your Kearny Soccer Academy family! Jason Gomes defender of our U19 Premier Strikers was selected to play for FC Monmouth in the NPSL. We are excited for him with this great opportunity and wish him and FC Monmouth best of luck in their upcoming season! We will be cheering you on! We would also like to congratulate Kearny local boy Forward, Daniel Vicente and Midfielder, John Antunes son of our Coach Manny Antunes of the U19 Premier Strikers. Best of luck to all of you! ©2019 Kearny Soccer Academy / SportsEngine. All Rights Reserved.